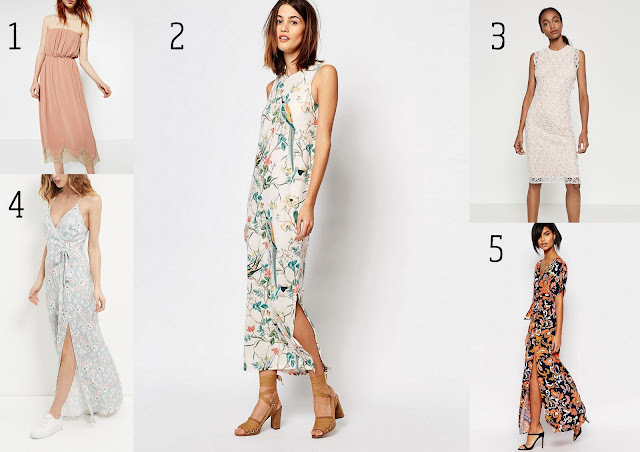 Spring Summer, the most popular time of the year for weddings, occasionwear gets delivered into stores leaving you spoilt for choice, but at the same time hoping no one else will wear the same outfit. Luckily for me the weddings I've attended, or will be attending this year I'll be wearing traditional wear, which will be a saree, so it's very unlikely someone will be wearing the same outfit. The general rule for an Asian religious ceremony is to wear bright colours, avoiding red (traditionally worn by the bride), white and black. 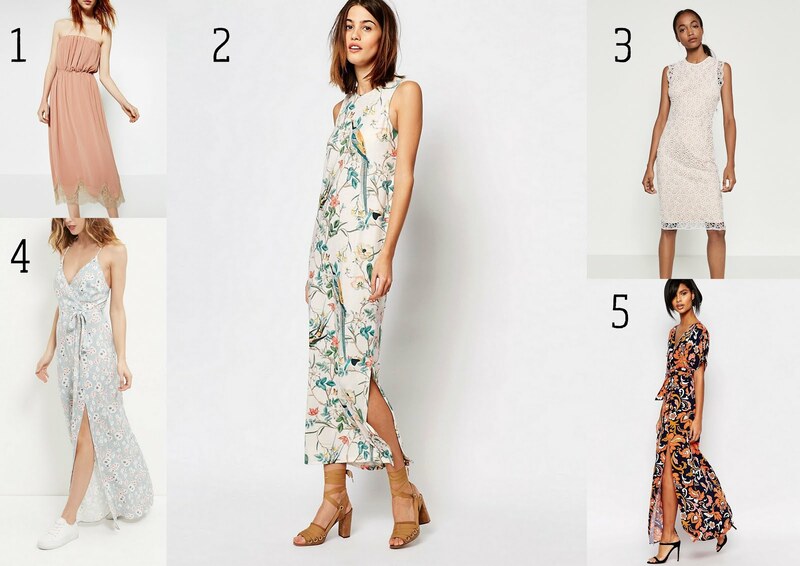 If you're attending a wedding and trying to find an outfit why not try this year's romantic trend by wearing something lace, floral or feminine. A brand that pulls off this trend well is Self-Portrait, they do the most stunning dresses with prices similar to some high street prices. I don't know what it is but pastel colours seem to fit in well for summer weddings. This Self-Portrait Azaelea dress comes in a few pastel colours, my favourite being the blush pink below. What I love about this dress is that it can be dressed down too, style with white trainers or black boots, the biker style ones would look great. A denim jacket on top will still keep it looking feminine but if you want to toughen up the look wear a bomber or leather jacket. It's always nice to buy something that can be worn more than once and even better if it can be transformed into a day look too. 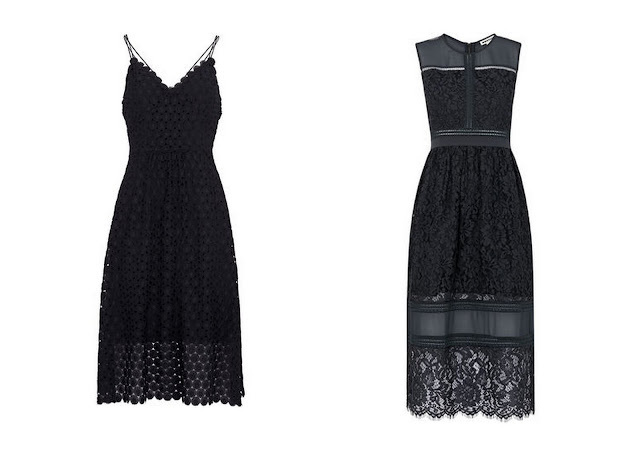 Keeping in the theme of lace, these dresses from Whistles are similar to Self-Portrait dresses, they look black in the below photos but are in fact navy. They will be a life saver for any occasion with it's simple but elegant designs, one for the evening functions I would say. 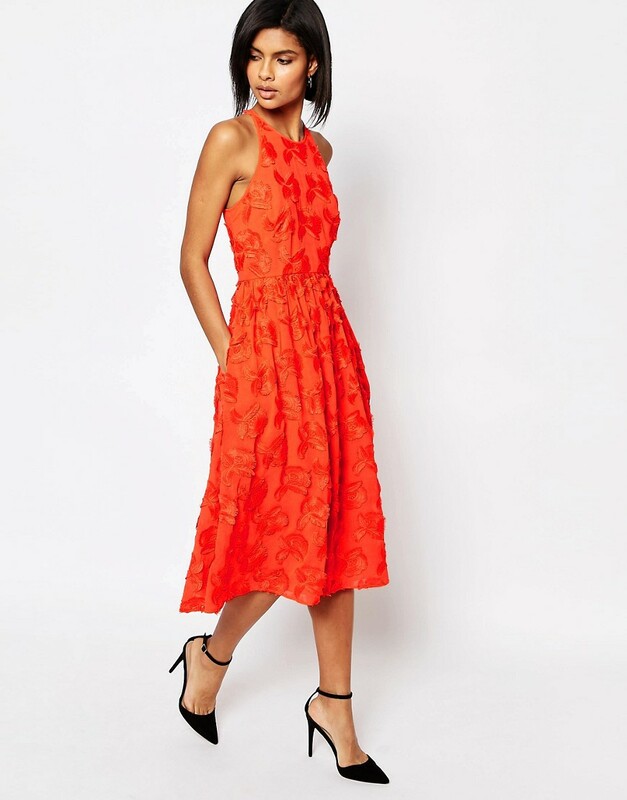 If you're looking for colour try this modern style orange dress with cut out back details, and the best feature, pockets!! The dress is available in ASOS but more sizes are available on the Whistles site (priced at £295). It's a little expensive but you can wear during the day too with trainers or sandals. With this weather lately some may prefer to have their legs covered. 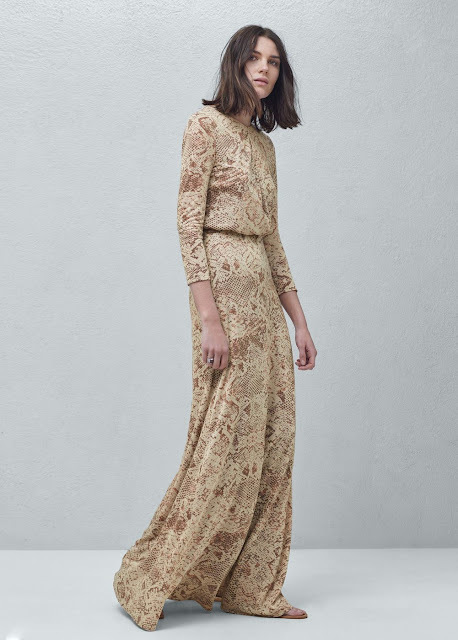 This maxi from Mango has a boho feel and would be lovely for a country or church wedding, again can easily be worn with sandals or trainers during the day teamed with a casual jacket. This high neck belted dress from Topshop is ideal if you're looking for something understated. I love the length and the simplicity of this Oasis dress, wear day or evening. 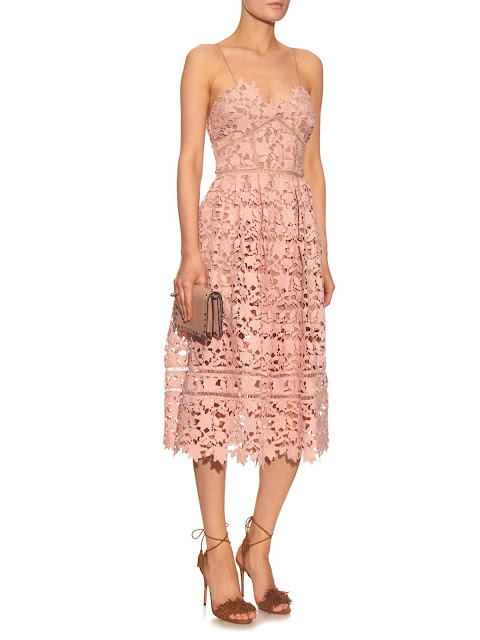 Style as per image with blocked heels and printed clutch (check the previous post for the Mango monochrome clutch that would go perfectly with this dress). Sometimes less is more and you don't have to spend loads. Thanks for reading and I hope you like some of my choices.